The AFL Micro-Tactical Fibre Optic Cable combines the ruggedness of military tactical cable designs with the ultra-high fibre density of AFL’s micro-cable technology. 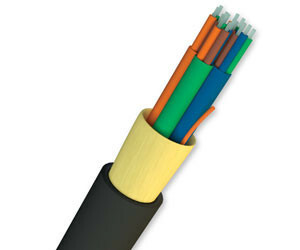 Designed for rapid deployment in optical networks requiring high mechanical performance specifications, extreme environmental exposure and highly dynamic operating conditions, the military-grade micro-tactical cable is able to withstand high tensile loads, severe crushing forces, repeated impacts and extreme temperatures. With AFL’s selection of tactical cable jacket materials, the cable can be used in applications requiring exposure to UV, moisture, industrial chemicals or confined spaces. The military-grade tactical cable has fibre counts up to 96. It is used in areas such as broadcast, military, mining, rail and petrochemical. 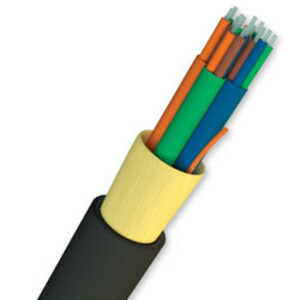 Main features include high fibre density allowing for longer deployment lengths; ruggedised tactical cable design for operating in harsh conditions; highly flexible for rapid deployment and ease of installation; longer assembly lengths reduce number of optical connections and enhance network performance; and supportive of all fibre types for high-speed optical networking. I am interested in AFL Micro-Tactical Fibre Optic Cable .